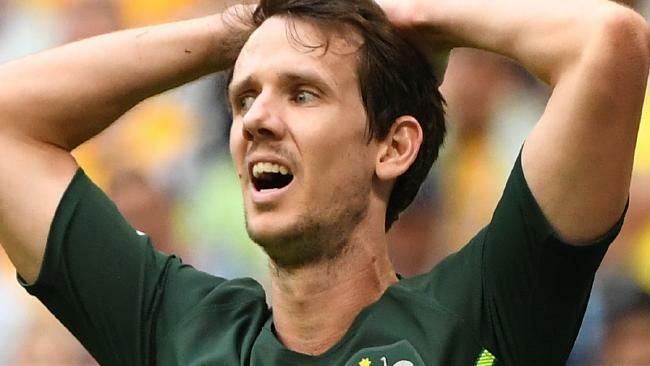 Robbie Kruse’s reaction summed up Australia’s day. 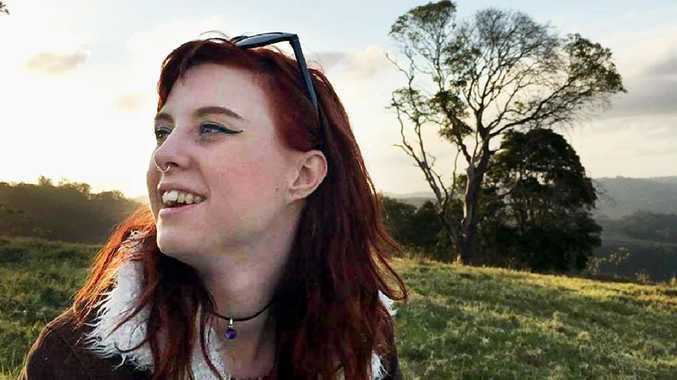 AUSTRALIA'S World Cup has become a Russian missile crisis. For the second game in a row the Socceroos misfired in front of goal and now their World Cup fate is out of their hands. A 1-1 draw with Denmark, which saw Danish star Christian Eriksen pounce on a defensive lap before a VAR decision went Australia's way and allowed Mile Jedinak to equalise from the penalty spot, was just as inspiring - and frustrating - as the opening game against France. The Socceroos again outperformed expectation by dominating a Denmark team ranked 12th in the world for long periods, but their failure to find a winner leaves them with just one point to France' six and Denmark's four. It means they must win against the point-less Peruvians on Tuesday night - and rely on France to beat the Danes - to escape the group stage. Coach Bert van Marwijk again talked about what his side deserved from the game, but Australia only has itself to blame for its failure to finish the job. More than six hours of game time have passed since we scored a goal that wasn't from a set piece - last October when Tim Cahill hit a winner with his head against Syria. Since then Mile Jedinak has been our sole source of scoring. Unlike the game against France, where Australia sat back and only had one shot on goal, there were opportunities galore against an underwhelming Danish outfit. Mathew Leckie had a gilt-edged chance in the fifth minute when he hit a free header from a corner, but he couldn't keep it down and the ball sailed harmlessly over the crossbar. A few minutes later - after Danish dangerman Eriksen was allowed to cruise unmarked into the box and nail a stunning left-footed finish - Leckie fed Robbie Kruse in the box. But his first touch was terrible and erased any hope of taking a shot. That was just the start of the wastage. Leckie was close to Australia's best player because of his ability both in the air and on the ground but after winning every header that was in his vicinity he completely missed a Daniel Arzani cross that crashed into his shoulder. Kruse had another great chance in the first half after more good work from Leckie but needed a touch to control the ball and gave the Denmark defence enough time to block his shot. An ugly cross from Josh Risdon, an Arzani shot that he admitted should have been hit along the ground and a long-range effort from Aaron Mooy that was a metre or two wide were all crucial in the finish. "It's an unbelievable pity that we didn't score," van Marwijk said. "To create this many chances against Denmark, I must be satisfied. "We played very well against the No. 12 (ranked) team in the world so we can be proud. "We controlled the game - they were afraid of us. "We deserved to win. What can I say?" Whether Tim Cahill - who was again an unused substitute - could have made the difference is the question Australian fans will ponder. Crosses from Arzani - who was a delight during his cameo - and Aziz Behich late in the game looked like the kind of opportunities Australia's record goal scorer gobbles up. Whether Arzani could have made more of a difference if he was brought on earlier was also a talking point. Let's not die wondering in Sochi.